Many ‘monster readers will have already deduced that I recently started a new job. So I thought it would be a nice idea to write a very short post introducing the project that I’m now working on. It is based at the University of Exeter, funded by the Leverhulme Trust, and will run until the summer of 2018. The leader of the project is Professor Jane Whittle and I will be the main researcher. Our aim is to gather an unprecedented level of information about the everyday working lives of early modern English women by extracting incidental information about work activities from witness statements given in court cases (and a few other types of record too). We hope that this innovative methodology will help us to capture aspects of women’s work – for instance domestic and other types of unpaid work – that more conventional history of work sources – such as wage data – do not. If you want to know more about the aims, methods and sources we will be using I have set up a website for the project here, that contains a lot more detail about what we will be doing. I’ll also be blogging over there about our progress from time to time, so if you are interested please do follow the project. ‘What is Work?’ – project leader Jane Whittle challenges some of the more conventional definitions of work that historians use, and offers a more suitable alternative that we will be adopting for the project. ‘Did Women Work in Agriculture?’ – in this post I examine some of our first archival gleanings, and use them to raise some questions about the gendered division of agricultural work in rural England. Finally, I should mention that we are looking for a third person to complete our project team, and as such are offering a fully-funded PhD studentship at Exeter. So, if you like the sound of the project or know of someone who you think might like to apply, then all the relevant details can be found here. The deadline for applications is 1st June. A large part of my job will be working through thousands of witness testimonies from quarter sessions and church courts, with their rich and fascinating vignettes of everyday life. In addition to the information I am after for the project this will turn up plenty of stories about the lives of ordinary men and women in early modern England for me to regale ‘monster readers with, so keep watching this space! R.H. Tawney claimed that ‘the sixteenth century lives in terror of the tramp’. He wrote that over a hundred years ago, but more recent research has largely confirmed Tawney’s contention that Tudor and early Stuart England was a society deeply anxious about the movements of the ‘masterless’ poor. As a result, it is not difficult to find fearful, satirical or insulting depictions of ‘vagrants’ and ‘vagabonds’ from this period. 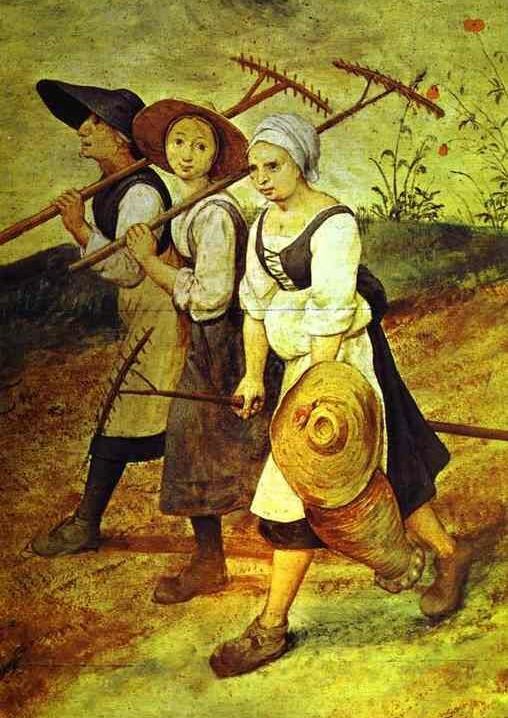 However, just as it can be hard to find images of early modern working women, it is also rare to come across sympathetic pictures of the poor. Yet, we know that many people continued to see at least some beggars as victims who deserved compassion and charity. The one particularly sympathetic portrayal of poverty that does appear repeatedly in early modern culture is the biblical story of Lazarus and Dives. In this parable, Jesus tells of a diseased beggar, Lazarus, who arrives at the door of a rich man, Dives, to beg for the crumbs off his table. 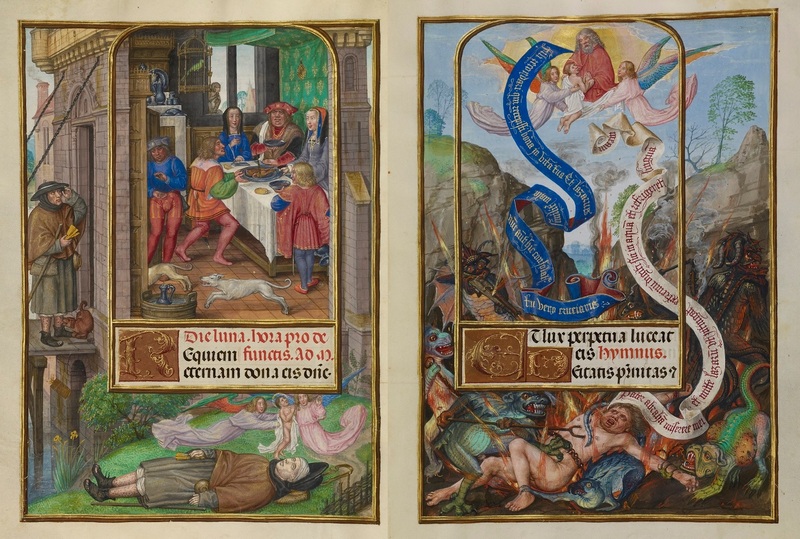 Dives refuses and is condemned to hellfire while Lazarus dies and is carried to heaven by the angels.